Spring is coming – eventually. Be prepared when that warm, sunny day arrives by purchasing guidebooks now so you can hit the trail and enjoy the burst of spring. The latest (3rd) edition of “Take A Hike – Family Walks in the Rochester NY Area” is ON SALE for only $16.95 (retail $19.95). –Take Your Bike – Family Rides in the Finger Lakes & Genesee Valley Region. Stock up – no matter how many guidebooks you purchase at www.footprintpress.com, the shipping for the entire order is only $3.50. We have guidebooks for hiking, biking, paddling, exploring waterfalls, and more – lots of fun spring adventures to enjoy across New York State. Now until Christmas 2012, everything ordered through http://www.footprintpress.com will be shipped for FREE. Order a gift for yourself (or others) today. 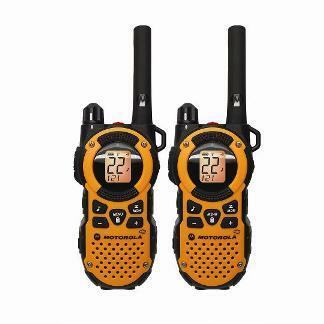 The latest Motorola Talkabout MT350R Radios are ideal for use when out of cell phone range at the cabin, on the trail backpacking, camping, paddling and just hanging out at the park. These just launched in June and feature reliable two-way communications, up to a 35 mile range, flashlight, hands-free capability, NOAA weather channels and best of all they feature a WEATHERPROOF design providing protection from wet weather conditions like snow and rain splashes, as well as dust — so perfect to take on winter hiking and skiing expeditions without worries. They are also important to have year-round as part of an emergency preparedness kit. Many outdoor enthusiasts like to bring a beloved pet along to enjoy the experience. A new service is helping make it easier for pets to stay safe in the event that the pet is separated from the owner. 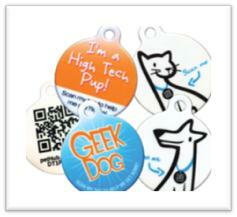 Pet tags are now smart! Now you can easily scan pet/owner info using your Smartphone to help GPS locate the owner of a lost pet. 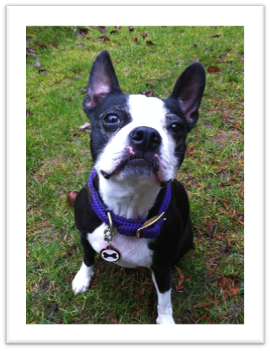 PetHub tags helps owners digitize their pet’s important records and make them accessible via Smartphones and the Web. PetHub provides pet owners with the fastest and safest way to get lost pets home. Going beyond standard ID tags, the PetHub ID tag provides immediate, one-scan access to critical information such as emergency contacts, necessary medication, allergies, immunizations, vet and insurance providers, dietary needs, and much more. Unlike microchips, anyone with a Smartphone can easily scan the PetHub ID tag or use the Web address on the front of the tag to access a pet’s critical information and immediately take proper action. This article was written with Christmas gifts in mind, but it lists good ideas for anyone who enjoys food on a paddle camping trip. Click here. The GREENIVATIVE Magic™ (G-MAG™) battery charger may be of use to car campers, multi-day bikers, kayak campers – anyone who needs more battery power on a long outdoor adventure. The G-Mag can charge batteries using only saltwater! G-MAG™ has an unlimited shelf life (years) when dry. By adding a small amount of salt water (which you can easily mix yourself), it instantly begins to make power. Re-charging 6 AA rechargeable batteries 15 times is like carrying 90 batteries in your pocket! Weighing only about 9 ounces, G-MAG™ is very powerful for its size and very easy to use.